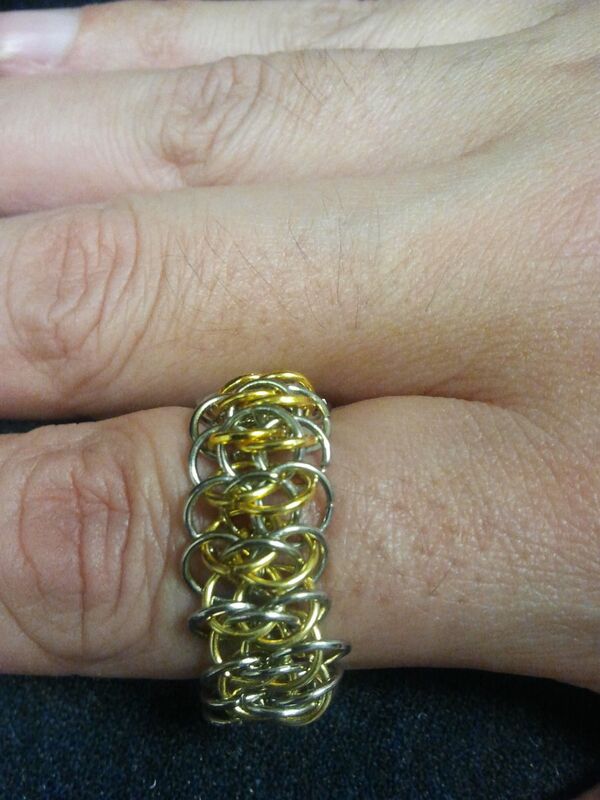 This was made with 3mm ID silver colored and gold colored jumprings, unknown gauge. I would guess at least 20 gauge. It measures a bit over 1/4 inch wide and has almost 100 rings.